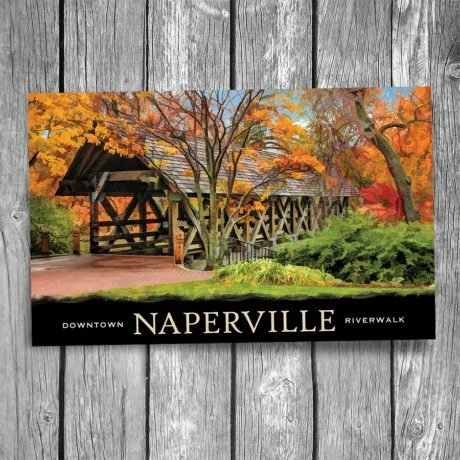 Naperville Covered Bridge Postcard | Christopher Arndt Postcard Co. 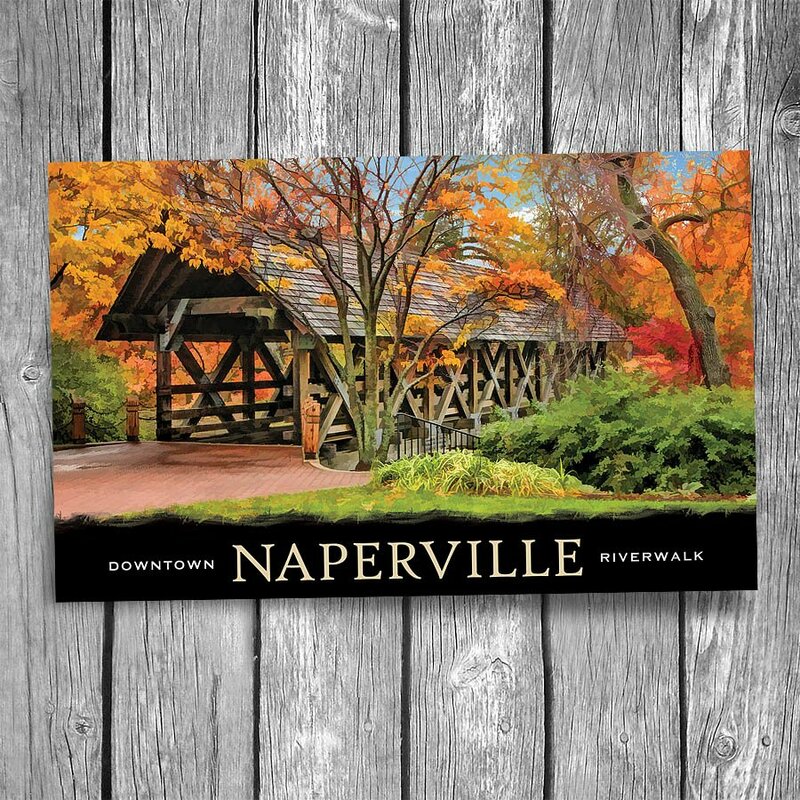 Created in 1981 to commemorative the 150th anniversary of Naperville, IL – the beautiful Riverwalk features over 1.5 miles of brick walking paths along the DuPage River and includes covered bridges, fountains, and outdoor sculptures. 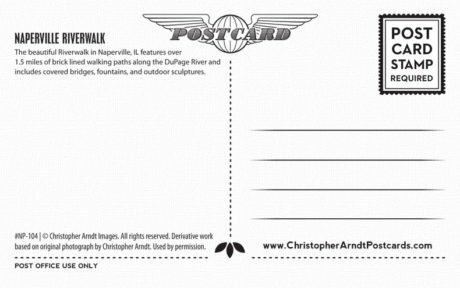 © Christopher Arndt Images. All rights reserved. Derivative work based on an original photograph by Christopher Arndt. Used by permission.